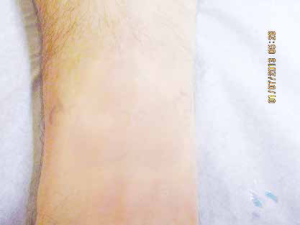 Usually 6 to 12 sessions are required to get laser tattoo removal results, normally scheduled 6 to 8 weeks apart. However, at NUYU, we’ve also had cases where a treatment only required 4 sessions, while others required 15 or more. 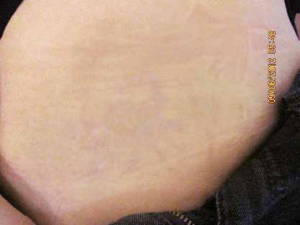 Check out our real Tattoo Removal Before and After pictures below. During each session, a certain quantity of ink is broken up and the body eliminates the smallest fragments in the following weeks. As such, the tattoo fades with time. The number of sessions and the time between each session will depend on several factors: which part of the body the tattoo is on, skin type and skin colour, colours and types of ink used, how deep the ink goes into the skin, the age of the tattoo and the overall health of the client. Book your free consultation and find out what can be done for you! 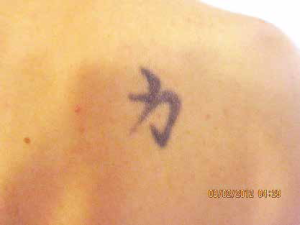 The Tattoo Removal Before and After pictures below are examples which should not be considered for your own case. Eric, a 32-year old business executive, wants to get rid of a tattoo he had done when he was younger. His skin is fair, and the tattoo inks are black and red, deep into the dermis. The tattoo is 10 years old. After 4 sessions and 12 months, Eric was satisfied with the results and stopped the treatment. 24-year old nurse Charlotte no longer likes her tattoo. Her skin is fair, the tattoo ink is black and not very deep into the skin. The tattoo is 3 years old. Charlotte followed the post laser-therapy instructions to a tee. 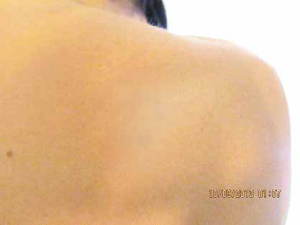 After 6 sessions and 14 months, we suggested she stop the treatment because the results were already very satisfactory. 28-year old Sarah has a fiancé who doesn’t like her tattoo. 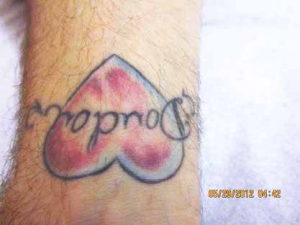 To make him happy, she decided to go for a tattoo removal. Sarah has olive skin, and her tattoo’s ink is black and deep into the skin. The tattoo is 5 years old. 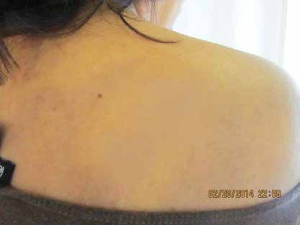 After 10 sessions and 24 months, Sarah was satisfied with the results and stopped the treatment. Rania, 37, wants to have a baby. She no longer likes her tattoo. 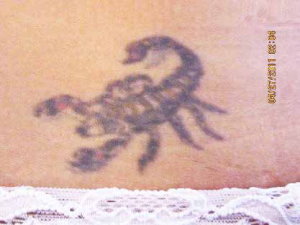 She has olive skin, and the tattoo inks are black and red, deep into the dermis. 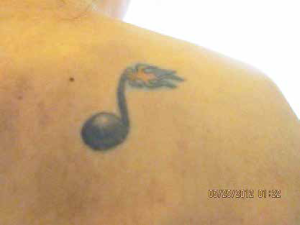 The tattoo is 15 years old. After 9 sessions and 21 months, Rania stopped the treatment as she was satisfied with the results.